A healthy diet can help offset the increased weight gain common to breast cancer survivors. Breast cancer survivors have a higher prevalence of increased glucose and weight gain, increasing their risk of adverse cancer-related outcomes. 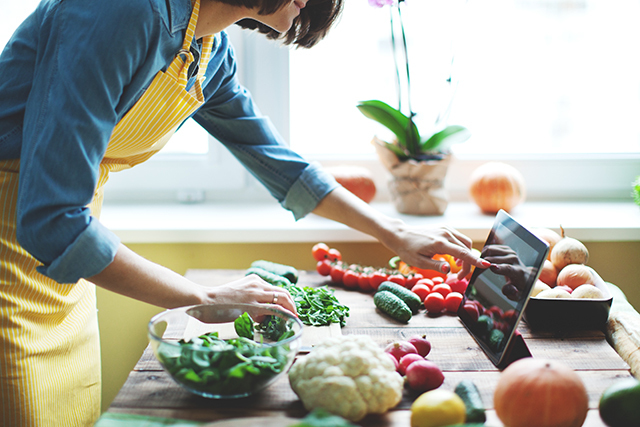 A new trial, called the Pancreatic Nutrition Program, bio-individualizes healthy food choices to promote glucose regulation, weight loss, and improve health and overall quality of life for breast cancer survivors. The study included 21 postmenopausal breast cancer survivors (stages I-III) with a body mass index of 25 to 33 kg/m2 and did not have diabetes, and were within 5 years of treatment completion. Information on glucose levels was collected for 12 weeks using a glucometer and a food journal. The patients then followed an individualized diet for 12 weeks that would keep their glucose levels at 70 to 100 mg/dL. Among the 18 patients who followed the diet, the median weight loss was 10.1 lb and the median waist circumference loss was 2.5 inches. Among women with high cholesterol, 71% reduced their cholesterol levels below 150 mg/dL. Those women with high triglyceride levels were able to reduce their levels to less than 150 mg/dL. Furthermore, the glucose levels of women with prediabetes changed to within normal range. “Bio-individualized food choices based on glucose response combined with culturally sensitive nutrition counseling may provide a feasible mechanism for sustainable weight loss in a population at high risk of metabolic dysfunction,” noted the researchers. However, they recommended that a tapering strategy should be developed after the first 12 weeks of health counseling to increase adherence. Clague DeHart J, Rosen C, Wong L, et al. Pancreatic nutrition program (PNP): a novel weight reduction program for breast cancer survivors. Poster presentation at: 2017 San Antonio Breast Cancer Symposium; December 6-9, 2017; San Antonio, TX. Abstract P2-13-06.